PALMDALE, Calif., Oct. 8, 2009 -- Northrop Grumman Corporation (NYSE:NOC) and EADS Defence & Security (DS) introduced the first Euro Hawk(R) unmanned aircraft system (UAS) in an unveiling ceremony today at Northrop Grumman's Palmdale, Calif., facility. The Euro Hawk(R) marks the first international configuration of the RQ-4 Global Hawk high-altitude, long-endurance (HALE) UAS, and solidifies Northrop Grumman's first transatlantic cooperation with Germany and DS. More than 300 employees from Northrop Grumman and DS and officials from the German Air Force and Ministry of Defence (MoD) gathered today for the ceremony, which concluded in a dramatic curtain drop revealing the distinctively different aircraft that will be equipped with German sensors. 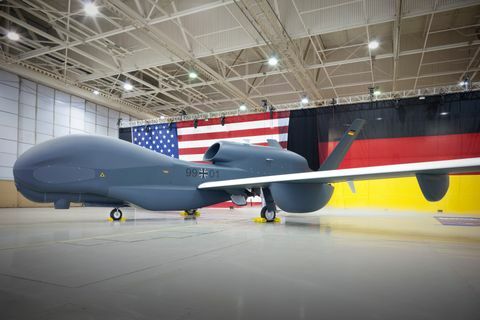 "This Euro Hawk(R) is testament to great collaboration between two companies, two countries and many, many people," said Duke Dufresne, sector vice president and general manager of the Strike and Surveillance Systems Division for Northrop Grumman's Aerospace Systems sector. "Established as a 50-50 joint venture between Northrop Grumman and DS, the EuroHawk GmbH team which oversees the program has set a precedent in international relations for Northrop Grumman." Based on the Block 20 Global Hawk, Euro Hawk(R) will be equipped with new signal intelligence (SIGINT) mission system developed by DS. 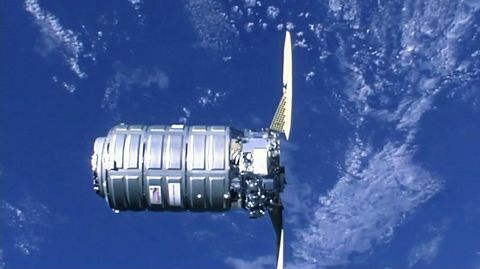 A ground station consisting of a mission control and launch and recovery elements will be provided by Northrop Grumman. DS will also provide a SIGINT ground station, which will receive and analyze the data from Euro Hawk(R) as part of an integrated system solution. "The SIGINT system provides standoff capability to detect electronic and communications emitters," said Nicolas Chamussy, senior vice president of Mission Air Systems for DS. "Thanks to our outstanding partnership with Northrop Grumman, the German Armed Forces will be able to independently cover their needs for SIGINT data collection and analysis, thus contributing to NATO, EU and UN peacekeeping operations." 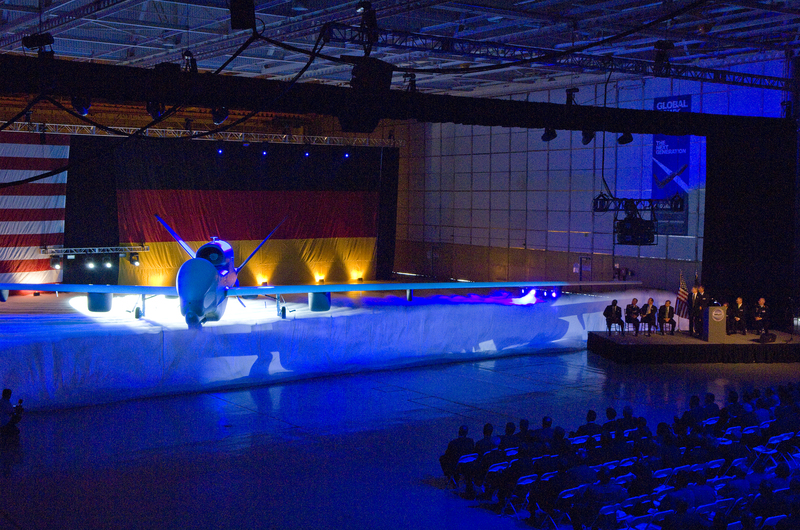 The ceremony also included remarks by Ruediger Knopfel, deputy branch chief of Fixed Wing Aircraft for the German MoD; Gen. Hermann Muntz, director of Air Force Armaments and deputy commander for the German Air Force Weapon Systems Command; and Col. Volker Saueressig, division chief IMINT for Strategic Reconnaissance Command. With a wingspan larger than a commercial airliner and endurance of 30 hours, Euro Hawk(R) is an interoperable, modular and cost-effective replacement to the aging fleet of manned Breguet Atlantic aircraft, which have been in service since 1972 and will be retired in 2010. Subsequent systems are anticipated for delivery between 2016 and 2017 following successful testing and introduction in German operational service in 2011. On Jan. 31, 2007, the German MoD awarded a $559 million contract to EuroHawk GmbH for the development, test and support of the Euro Hawk(R) SIGINT system. 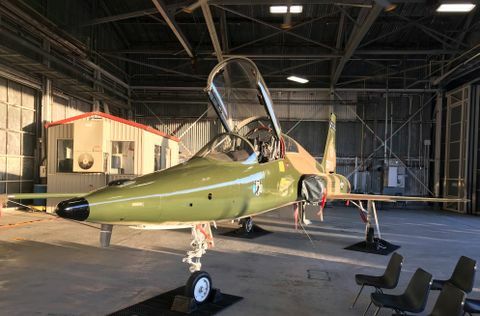 "Under this contract, EuroHawk GmbH will also provide aircraft modifications, mission control and launch and recovery ground segments, flight test and logistics support and will act as the national prime contractor for the German MoD through the entire lifecycle of the Euro Hawk(R)," said Heinz-Juergen Rommel, chief executive officer of the EuroHawk GmbH. DS is a systems solutions provider for armed forces and civil security worldwide. Its portfolio ranges from sensors and secure networks through missiles to aircraft and UAVs as well as global security, service and support solutions. EADS is a global leader in aerospace, defence and related services. In 2008, EADS employed a workforce of about 118,000.